H4 Work Authorization, Work Permit or H4 EAD and H4 Visa Issues: Can an H4 visa apply for work while the EAD application is still pending? 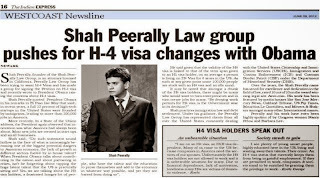 Can an H4 visa apply for work while the EAD application is still pending? 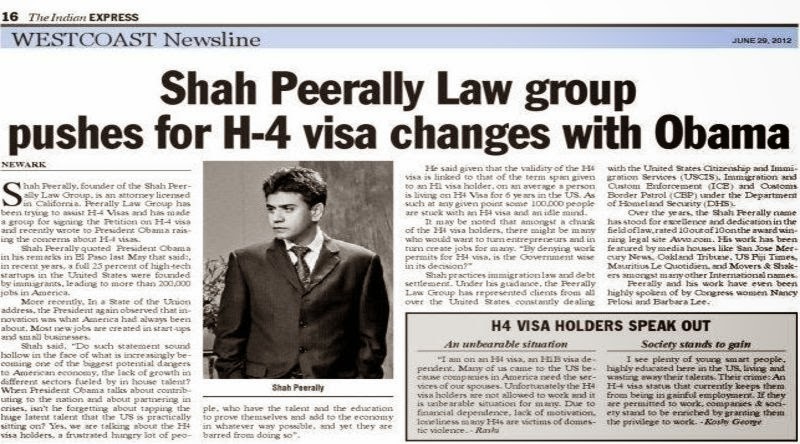 Can H4 visa holders look for employment during the EAD processing time? Now that the H4 EAD application is on, many are calling to ask if they can start prospecting for employment based on the new rule of H4 work authorization. Nothing in the rules or the past rules prevents the H4 visa holder to look for work. However, before the H4 EAD new regulations, many employers will not even look at a resume knowing that the person is not yet authorized to work. But now things are different! With the new law, employers will be looking at a new perspective on the H4 visa holders. They can actually be valuable assets to the companies. Although there are no clear rules on the subject, it seems this is going to be decided based on state laws. If the state law does not prohibit seeking employment while there is no authorization to work yet issued, H4 visa holders with pending applications for EAD should be able to start looking for employment. But DO NOT START WORKING until the employment authorization card is issued and social security number is issued. What Happens if an H4 "unlawfully" start working before the EAD is approved? (k) 7/ An alien who is eligible to receive an immigrant visa under paragraph (1), (2), or (3) of section 203(b) (or, in the case of an alien who is an immigrant described in section 101(a)(27)(C) , under section 203(b)(4) ) may adjust status pursuant to subsection (a) and notwithstanding subsection (c)(2), (c)(7), and (c)(8), if-- (1) the alien, on the date of filing an application for adjustment of status, is present in the United States pursuant to a lawful admission; (2) the alien, subsequent to such lawful admission has not, for an aggregate period exceeding 180 days-- (A) failed to maintain, continuously, a lawful status; (B) engaged in unauthorized employment; or (C) otherwise violated the terms and conditions of the alien's admission. The article above is purely informational, we actually recommend that you contact an attorney before you decide to start prospecting for employment or abusing employment without authorization. Remember that the employment authorization is just temporary. Your ultimate goal is to become a permanent residence and a US citizen of the United States. You do not want to jeopardize this chance. We have helped hundreds with their immigration matters, we will be more than glad to schedule a consultation for you. Please call us at 510 742 5887, if you want to speak to one of our attorneys.